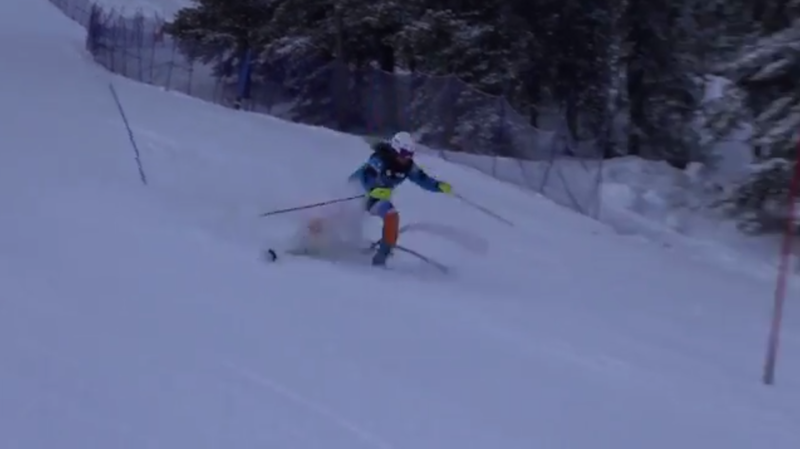 Mia Henry taking a mean crash during Team Alberta training at Norquay. 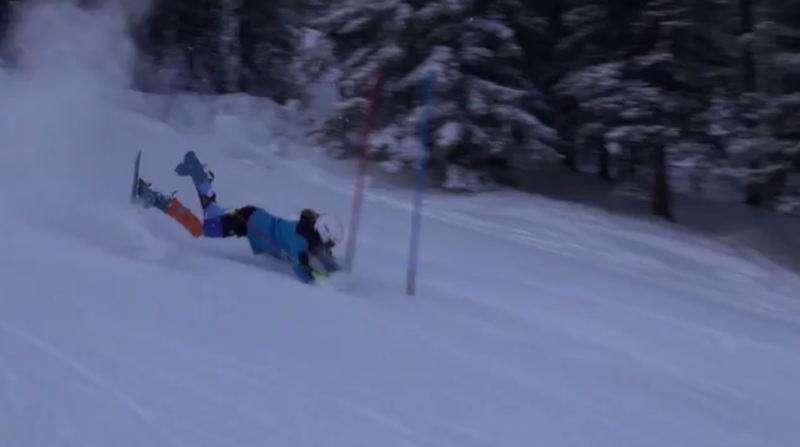 If you gave me four tries to pronounce Norquay I do NOT think I would get it. 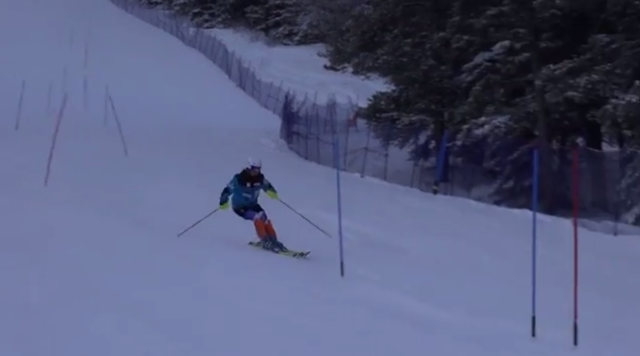 But major props to Mia for not only taking a few gates to the face like an absolute champion, but also being woman enough to send it to Slalom Tokyo Drift herself! But you know what? 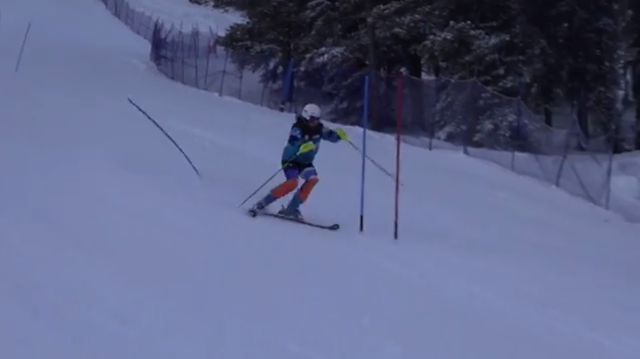 Skiing slalom is a lot like being a shark. You gotta keep moving forward, or else you die. Shark week taught me that. Now, as Michael Bolton says to those Lonely Island boys... let's get to it. I really need to have a large brainstorming sessions for these captions. I always want to type "The calm before the storm" but I'm pretty sure I've used it several times already. Anyways, she's not crashing here. Duh. If this isn't a snow snake, then I don't know what is. And from the looks of it... it's a snow anaconda. The world champion olympic swimmer prepares for the starting gun... 3, 2, 1.. GO! The world champion olympic swimmer dives flawlessly into the hairpin pool. Michael Phelps would be jealous of this impeccable technique. And all of the props I gave Mia... I give her coach the opposite. SHOW ME THE CRASH AFTERMATH PEOPLE! Yes, your athlete just took two base gates to the chin. But not videoing what comes next isn't helping anyone. Pick up the pieces later. Coaches these days are like Humpty Dumpty's knights. I'm losing it. theamericanmob@gmail.com with crashes.